Price Financial Services believes that excellent service and a reputation for honesty, integrity and reliability are just as important as interest rates and closing costs. Since opening its doors in 2001, Price Financial Services continues to consistently navigate borrowers through a variety of mortgage programs and products, to find just the right program for their financial future plan. Price Financial is committed to doing the best for their borrowers and the fulfillment of this commitment has been received with continues praise from their borrowers. Price Financial Services is very proud of the A+ rating with the Better Business Bureau, since 2002. Amy has been an integral piece of this Price Financial Team for 11 years, bringing her core of helping people together with her focused problem-solving skills, to provide her customers with a positive mortgage financing experience. Out of the office, you will find Amy bringing her professional knowledge of credit, budgeting and mortgage financing as a speaker with women’s groups including the Women’s Resource Center in Wayne, PA.
Amy VanGelder-Witmer is a graduate of Adelphi University with a Masters in Exercise Physiology. Amy’s post graduate work focused on Cardiac, Pulmonary and Vascular Rehabilitation within several hospitals in Florida before relocating to Pennsylvania. Amy assisting in the set up and running of the Phase 4 Cardiopulmonary and Vascular Rehab program at The Health and Wellness Center by Doylestown Hospital. Amy took time off to be with her two daughters for 3 years, and began with Price Financial Services part-time. She soon became a full-time Loan Officer at Price Financial, assisting borrowers in finding the best mortgage programs for their individual needs. Amy is the recipient of Best of Philly Mortgage Loan Originator by Five Star Professionals for Philadelphia Magazine 7 times, including 2018. Whether in or out of the office, helping people is at Amy’s core. 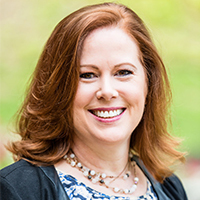 You will find Amy volunteering her time for several committees with Radnor Township School District, including Curriculum Development and Professional Development committees. Amy is a current member of the Radnor Education Foundation. Amy is on the Board of Directors for ContempraDance Theatre Company, a non-profit with the mission of creating and presenting dance performances and education programs celebrating artistic innovation and human experiences.